A new study published by the Journal of the American Society of Nephrology has revealed that gut bacteria produce a byproduct involved and responsible for the formation of cholesterol plaques. 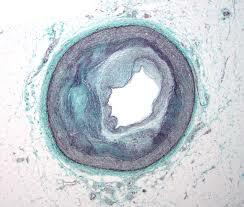 Artherosclerosis occurs in patients with chronic kidney disease, leading to the development of heart disease and death. Intestinal bacteria produces an organic byproduct, (Trimethylamine-N-oxide (TMAO)), responsible for the initiation of cholesterol plaques in the arteries of individuals with decreased kidney function. Trimethylamine-N-oxide is generated as an organic byproduct as intestinal bacteria metabolize dietary nutrients called choline and L-carnitine. Previous research has specified that rodents who consumed TMAO and humans who had a higher concentration of TMAO in the blood suffered from an increased risk of developing heart disease and artherosclerosis. The kidneys maintain low blood levels of the compound by reducing toxic byproducts from the body. The study findings revealed that blood levels of TMAO increased as kidney function declined. A separate research participants group, consisting of 220 patients, had high levels of TMAO in the bloodstream linked with an increased risk of death over a 4 year period and an increased risk of atherosclerosis. “Based on evidence that TMAO production is dependent on the metabolism of specific dietary constituents by intestinal bacteria, therapies targeting the generation of TMAO precursors by intestinal bacteria may represent a novel strategy for reducing cardiovascular disease and mortality in patients with CKD,” said Dr. Jason Stubbs from the Kidney Institute at the University of Kansas Medical Center. ← Researchers reveal the presence of taste receptors in the heart.